Listen to Marfa Public Radio’s Talk at Ten radio interview with Kahil El’Zabar, Corey Wilkes, and Ernest Dawkins, of the Ethnic Heritage Ensemble, June 19, at 10am on KRTS 93.5FM or via their online stream. As part of MISD‘s Summer Shakeup program, Ballroom Marfa is hosting Music Moves U, a workshop led by Dr. Kahil El’Zabar and his band, the Ethnic Heritage Ensemble. Led by Dr. El’Zabar, students build homemade instruments and then practice playing and improvising on these instruments. After practicing, the group has a dress rehearsal and performs a final show with the band. Students will investigate the properties of rhythm, ensemble performance, melodic and harmonic sensibilities, and improvisation, while learning about the history of music, team building, and personal expression. The class is free to attend and open to all students 10 years and older. First Dr. El’Zabar and the Ethnic Heritage Ensemble perform. The band introduces themselves and meets the workshop participants. Led by Dr. El’Zabar, students construct instruments from diverse traditions, such as kalimbas, birimbaus, zithers, drums, banjos, flutes, horns and one-string basses. The ensemble then demonstrates how to play these instruments, with a mind toward collaborative performance. The class focuses on rehearsing a collectively composed performance. The rehearsal teaches the basics of performance, ensemble dynamics, and improvisation, while instilling the value of discipline, respect for others, passion, instinct, restraint, and most importantly, a sense of personal and collective expressiveness. Dr. El’Zabar conducts the premiere ensemble of workshop participants, while his colleagues — Ernest Dawkins on sax and Corey Wilkes on trumpet — perform as guest soloists. Among modern jazz enthusiasts, Dr. El’Zabar is known as jazz music’s “best kept secret.” Dr. El’Zabar is an internationally acclaimed percussionist, composer and educator, who has performed with jazz greats Cannonball Adderley, Pharoah Sanders, Archie Shepp and Dizzy Gillespie, and in the bands of Stevie Wonder and Nina Simone. In the 1970s, he formed the Ritual Trio and the Ethnic Heritage Ensemble, both of which remain active today. Students building instruments at the Music Moves U workshop, June 17, 2014. Photo by Suzy Simon. Students at the Music Moves U workshop, June 17, 2014. Photo by Suzy Simon. Kahil El'Zabar leading students at the Music Moves U workshop, June 17, 2014. Photo by Suzy Simon. Finished instrument from the Music Moves U workshop, June 18, 2014. Photo by Suzy Simon. The student musicians, June 19, 2014. Photo by Lesley Brown. The ensemble, June 19, 2014. Photo by Lesley Brown. Kahil El'Zabar leading the ensemble, June 19, 2014. Photo by Lesley Brown. Corey Wilkes assisting the ensemble, June 19, 2014. Photo by Lesley Brown. The finale, June 19, 2014. Photo by Lesley Brown. The Ethnic Heritage Ensemble, June 19, 2014. Photo by Lesley Brown. Kahil El'Zabar of Ethnic Heritage Ensemble, June 19, 2014. Photo by Lesley Brown. Ernest Dawkins of the Ethnic Heritage Ensemble, June 19, 2014. Photo by Lesley Brown. Corey Wilkes of the Ethnic Heritage Ensemble, June 19, 2014. Photo by Lesley Brown. Listen to Marfa Public Radio’s Talk at Ten interview with Kahil El’Zabar, Corey Wilkes, and Ernest Dawkins of the Ethnic Heritage Ensemble from June 19, 2014. 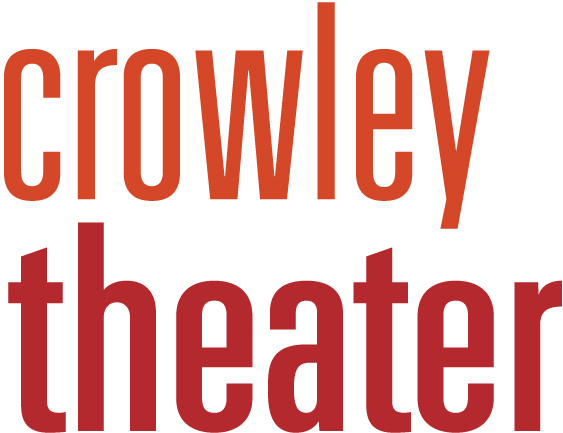 In-kind support provided by Crowley Theater and MISD. Special thanks to Jennifer Bell, The Big Bend Sentinel, Michael Camacho, the Crowley Theater Foundation, Rob Crowley, Tim Crowley, Jaylia Foster, Raquel Jenkins, Marfa Public Radio, Marfa Recording Company, Ross McGlothlin, Andrew Peters, K Yoland, and the students and parents of Marfa.